“But the fruit of the Spirit is love, joy, peace, patience, kindness, goodness, faithfulness, gentleness…” (Galatians 5:22-23). The words in which we are interested are gentleness, gentle, and gently. Jesus Christ exhibited gentleness. The prophets predicted it. “Behold, the Lord GOD will come with might, with His arm ruling for Him. Behold, His reward is with Him and His recompense before Him. Like a shepherd He will tend His flock, in His arm He will gather the lambs and carry them in His bosom; He will gently lead the nursing ewes” (Isaiah 40:10-11). Jesus so described Himself. “Take My yoke upon you and learn from Me, for I am gentle and humble in heart” (Matthew 11:29). The apostle Paul understood this aspect of ministry. He puts it in terms of the gentleness of a mother with her infant. “We proved to be gentle among you, as a nursing mother tenderly cares for her own children” (1 Thessalonians 2:7). This gentleness is the opposite of harshness. “Shall I come to you with a rod, or with love and a spirit of gentleness?” (1 Corinthians 4:21). This gentleness is also born of the Spirit of Christ. “Now I, Paul, myself urge you by the meekness and gentleness of Christ—I who am meek when face to face with you, but bold toward you when absent!” (2 Corinthians 10:1). Counseling and confronting sin need not be discourteous or intemperate although direct. This is especially the case if restoration is the goal. 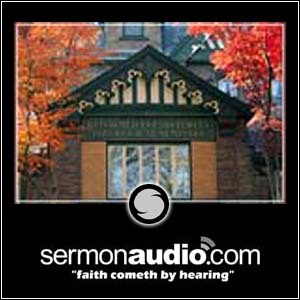 Listen again to the apostle Paul. “Brethren, even if anyone is caught in any trespass, you who are spiritual, restore such a one in a spirit of gentleness” (Galatians 6:1). “The Lord’s bond-servant must not be quarrelsome, but be kind to all, able to teach, patient when wronged, with gentleness correcting those who are in opposition, if perhaps God may grant them repentance leading to the knowledge of the truth” (2 Timothy 2:24-25). God is pleased to use a gentle approach to promote peace and reconciliation in contrast to one that is harsh. As Proverbs 15:1 indicates, “A gentle answer turns away wrath, but a harsh word stirs up anger.” And James 3:17 adds, “The wisdom from above is first pure, then peaceable, gentle….” Biblical counseling is therefore full of love and gentleness. Gentleness is also one of the qualifications for office-bearers in the church. “An overseer, then, must be above reproach, the husband of one wife, temperate, prudent, respectable, hospitable, able to teach, not addicted to wine or pugnacious, but gentle….” (1 Timothy 3:2-3). Bullying and intimidation tactics are out of bounds for church leaders. Whether a pastor, elder, deacon, or church member, evangelism and apologetic work also require gentleness. “Sanctify Christ as Lord in your hearts, always being ready to make a defense to everyone who asks you to give an account for the hope that is in you, yet with gentleness…” (1 Peter 3:15). You cannot bully people into accepting Christ or aligning themselves with Christian principles. Gentleness, then, is a Christian virtue. “So, as those who have been chosen of God, holy and beloved, put on a heart of compassion, kindness, humility, gentleness…” (Colossians 3:12). “Who among you is wise and understanding? Let him show by his good behavior his deeds in the gentleness of wisdom” (James 3:13). Finally, gentleness has eternal significance. “Let your gentle spirit be known to all men. The Lord is near” (Philippians 4:5). “Blessed are the gentle, for they shall inherit the earth” (Matthew 5:5). Gentleness is a fruit of the Spirit. It is “precious in the sight of God” (1 Peter 3:4).